Image showing periodicity of the chemical elements for velocity of sound in a periodic table cityscape style. 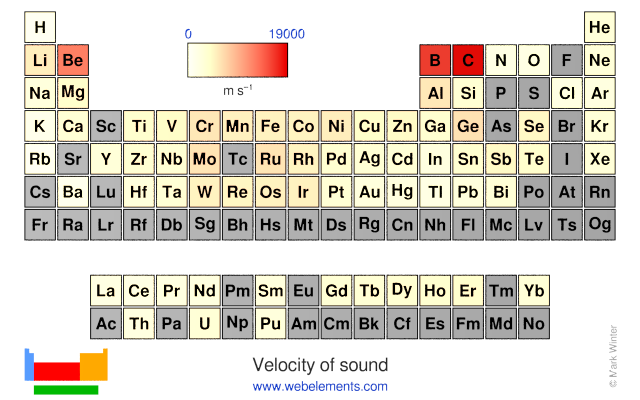 Image showing periodicity of the chemical elements for velocity of sound in a periodic table heatscape style. 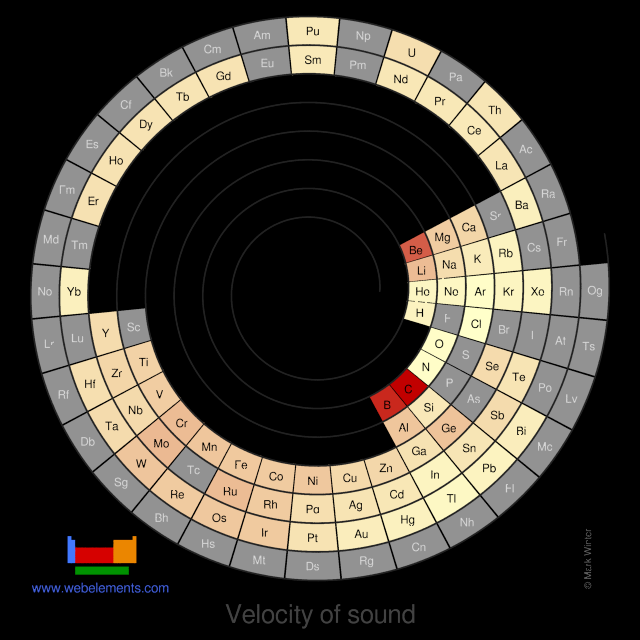 Image showing periodicity of the chemical elements for velocity of sound in a spiral periodic table heatscape style. 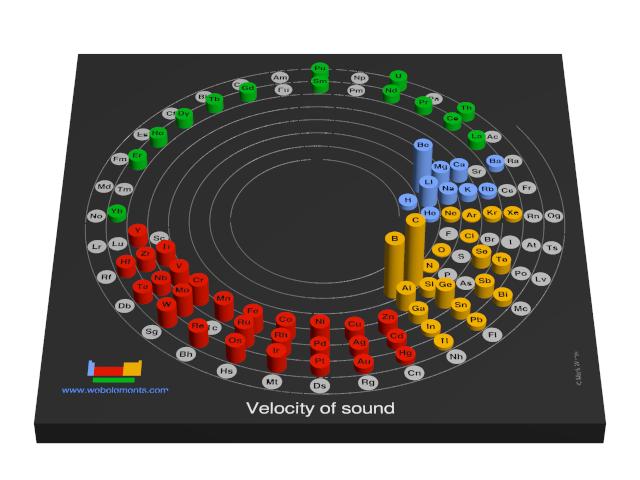 Image showing periodicity of the chemical elements for velocity of sound in a 3D spiral periodic table column style. 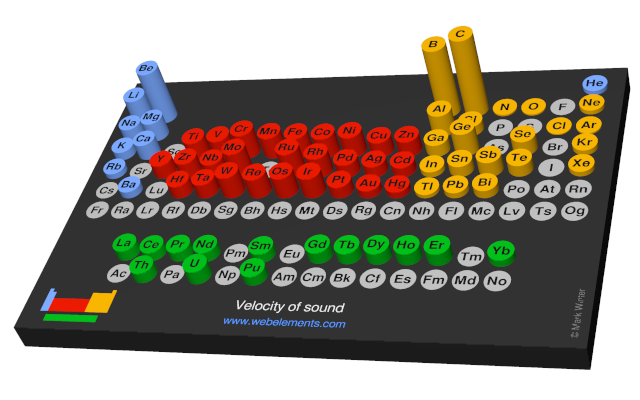 Image showing periodicity of the chemical elements for velocity of sound in a 3D periodic table column style. Values are given for the element at 293 K where possible. If a range of values is given in ref. 1, the mid point value is used.